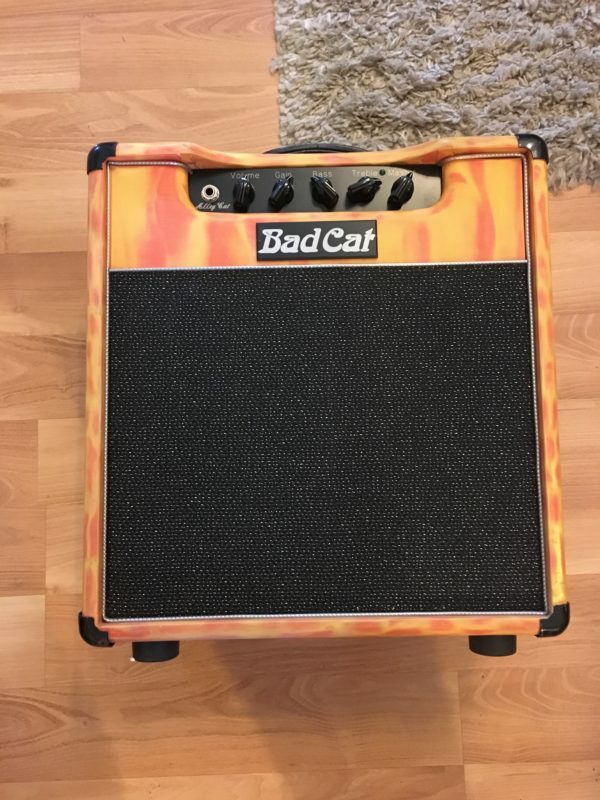 Bad Cat Alley Cat 7.5 Watt Tube Amp Custom Tolex Made in USA in very good condition. Comes with footswitch. Bad Cat Made in the USA Alley Cat model 1×12 combo amp. 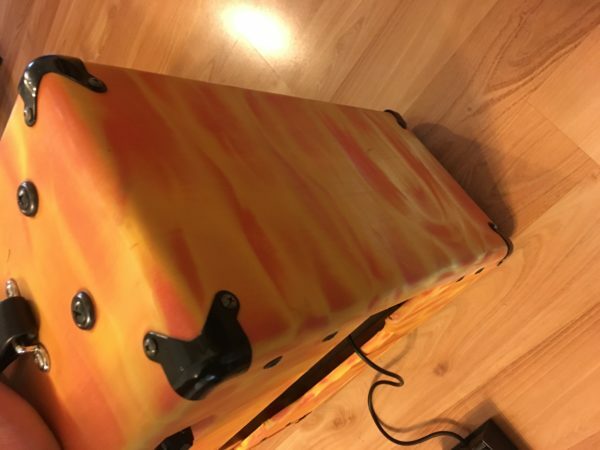 Custom tolex from the factory. 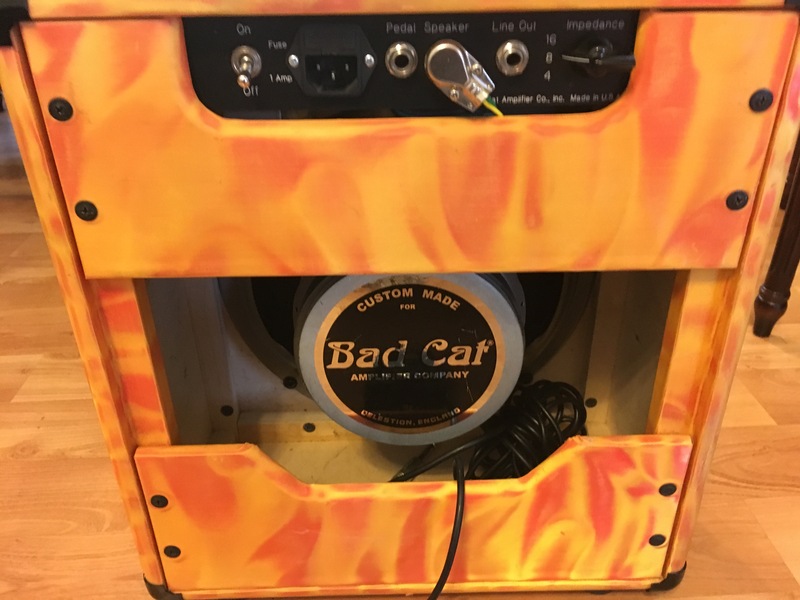 Great sounding bedroom amp that can get loud enough to rehearse or even gig with. 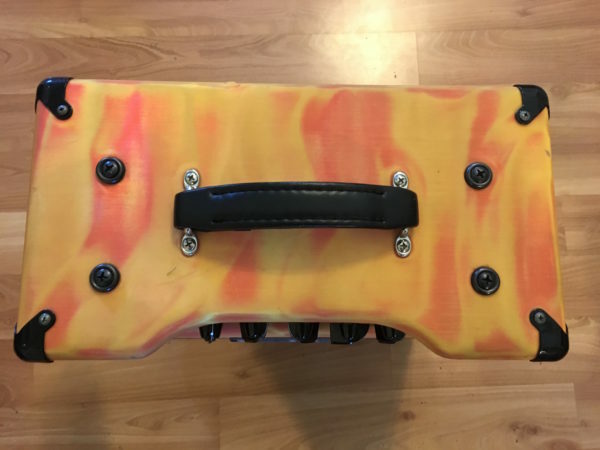 Nice condition, the tolex shows some marks here and there but the finish is so wild you won’t notice. 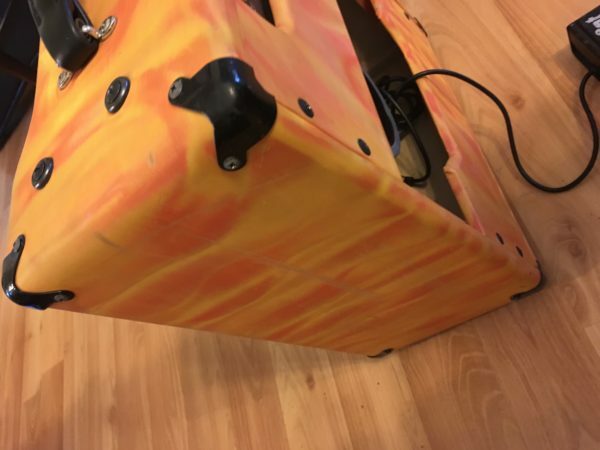 The footswitch shows some wear, but what do you expect, you step on it! It works great. 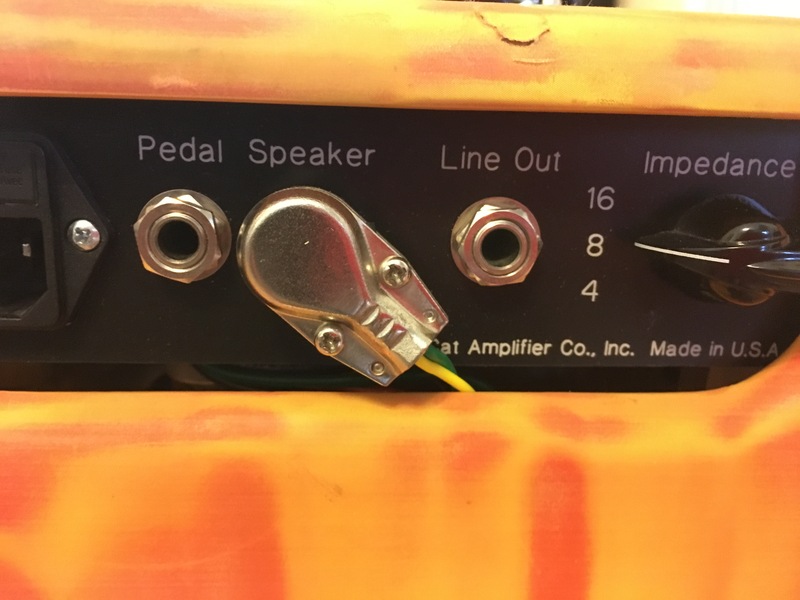 Amp sounds killer and everything functions properly. 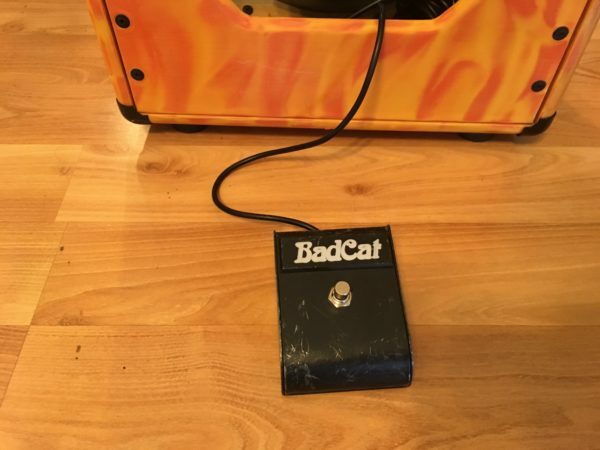 Cool little USA made Bad Cat from their Custom Shop.